A flood of data is creating both opportunities and challenges for businesses and their customers. Market researcher IDC projects the amount of data created will skyrocket to 163 zettabytes by 2025, a tenfold increase over 2016. 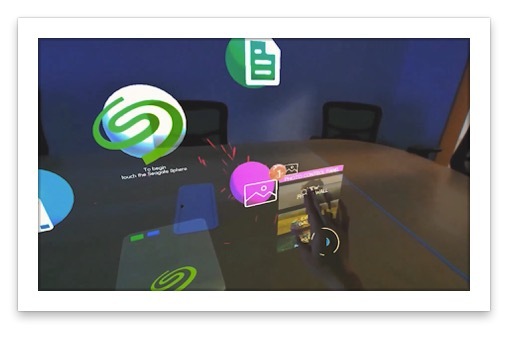 Seagate is partnering with game developer Grab Games to give people an easier way to deal with their data, using augmented reality. 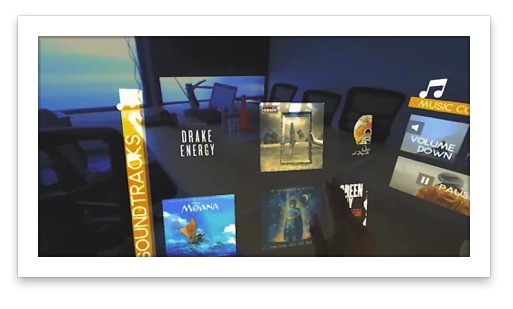 Grab Games, which was founded in 2010, was one of the first companies to create entertainment for augmented reality (AR) and virtual reality (VR) platforms like Vive, Oculus and the PlayStation VR. 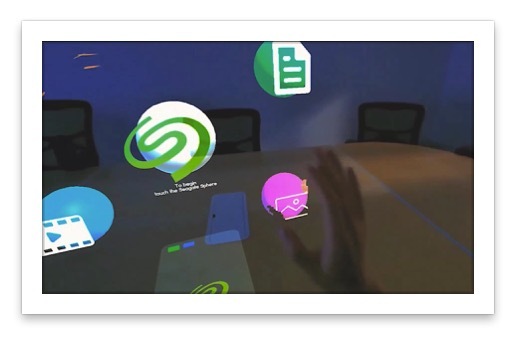 Grab founder and CEO Anthony Borquez visited Seagate’s Cupertino headquarters last week to demonstrate a “pre-alpha” version of an augmented reality data-management system it is developing with Seagate. 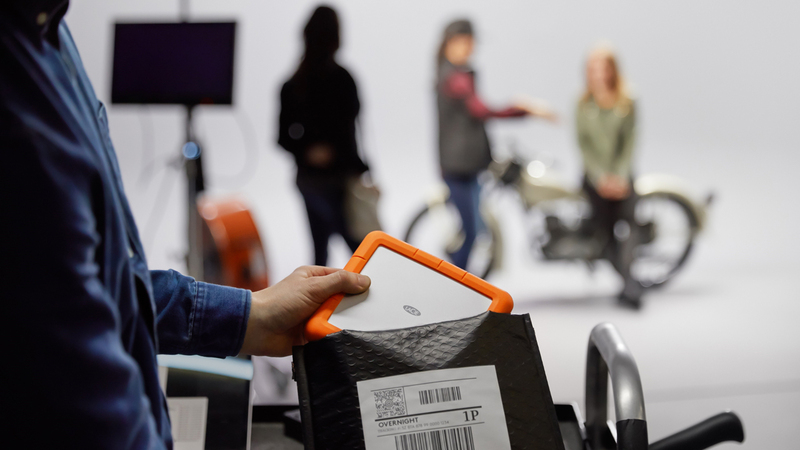 The goal behind the partnership is to give people a much better “data experience,” added Tim Bucher, SVP, consumer solutions group at Seagate. 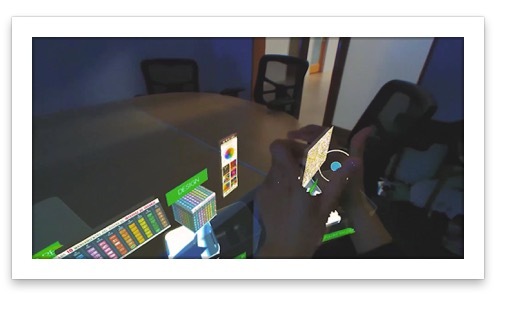 AR places digital information such as video game characters (last year’s hit game, Pokemon Go, is an example) onto a user’s view of the real world. 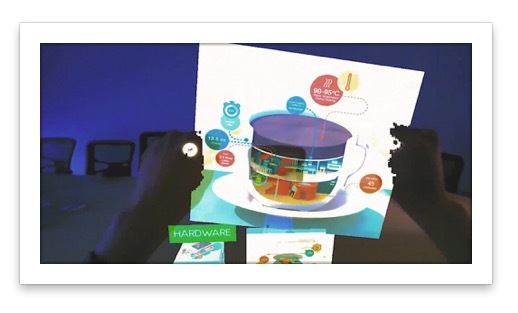 VR immerses users in a completely digital world. 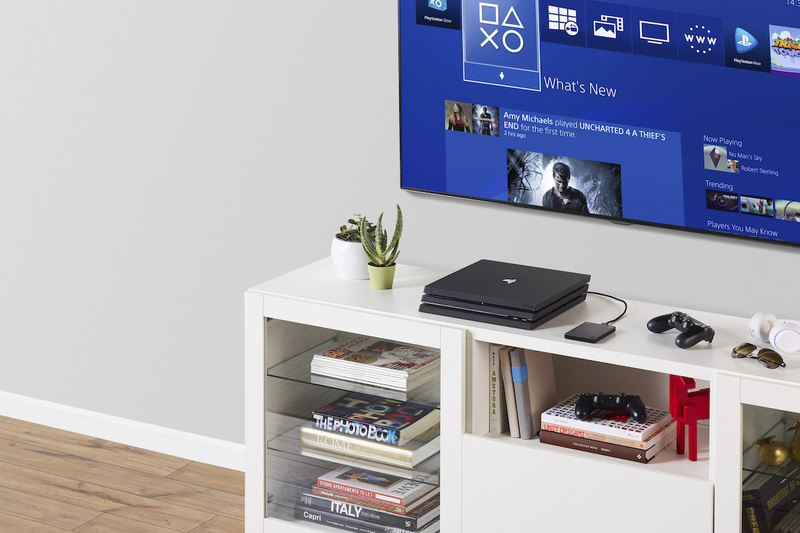 Development of the capabilities continues to increase, and the market for both technologies could reach $182 billion by 2025 (which includes hardware and software), according to Goldman Sachs Group forecasts. 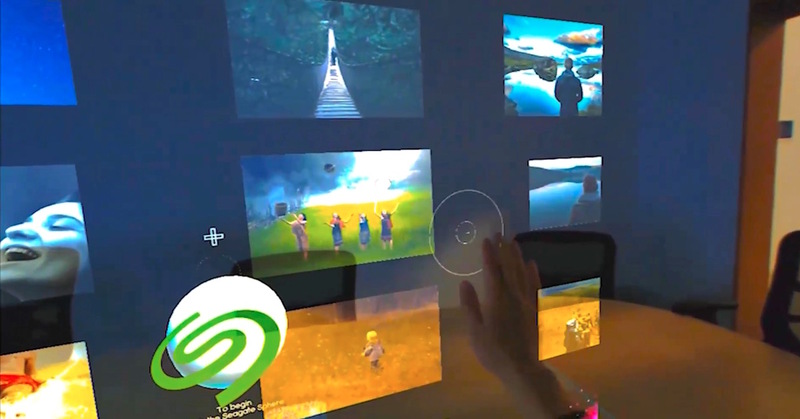 The Seagate-Grab partnership dates back four years to when Grab needed data management solutions to help its team of developers securely and efficiently store and share all of the data they were creating. 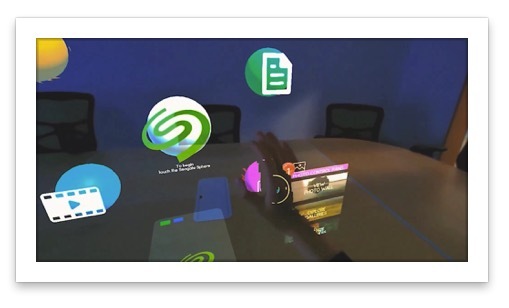 During the demo, Borquez placed a lightweight headset onto members of Seagate’s consumer solutions team to let them experience the newest iteration of the AR technology in development. 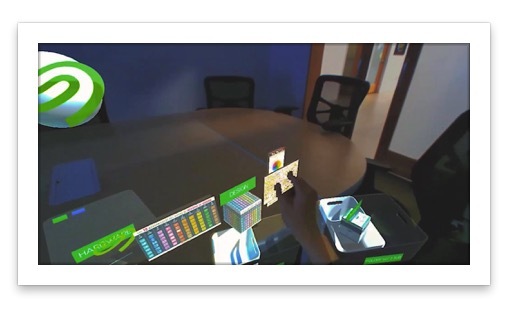 The AR application shows the user a virtual Seagate external hard drive on a desk. 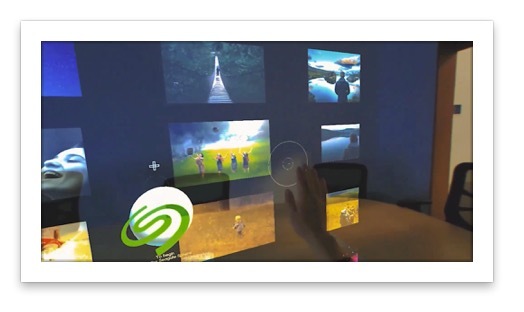 Using hand gestures, the user unlocks data from the drive and manipulates objects that represent videos, music, photos and other files — enabling the user to scan through a wall of vacation pictures, choose and switch on a music track, enlarge screens or move them to different areas of the desk, and more. 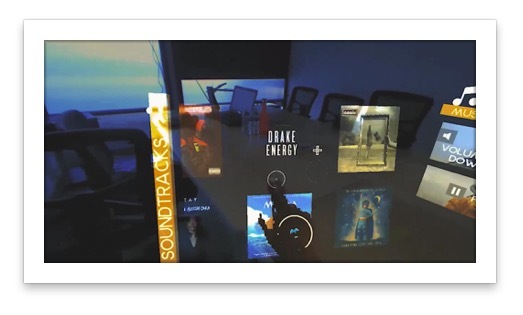 The image above shows the augmented reality view from behind the AR headset — in the background you can see the conference room, and in the foreground are the user’s music choices displayed in space (see more images below). 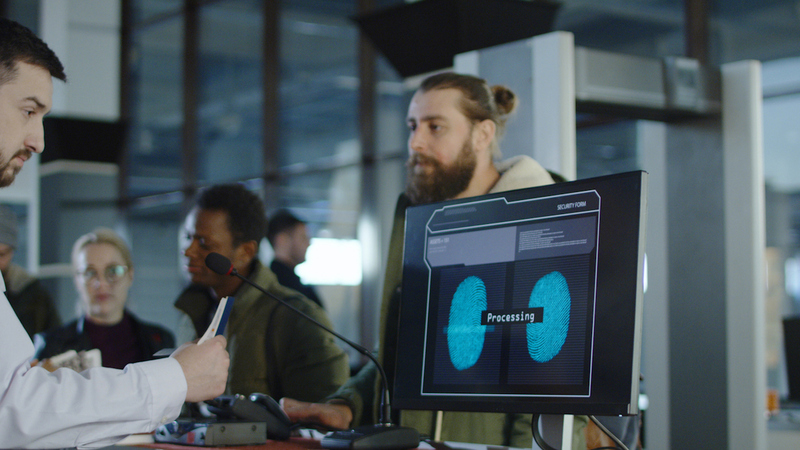 The technology, while still very much in development phase, is akin to how Tom Cruise juggled multiple data files in the 2002 science fiction film Minority Report, and in many films since.